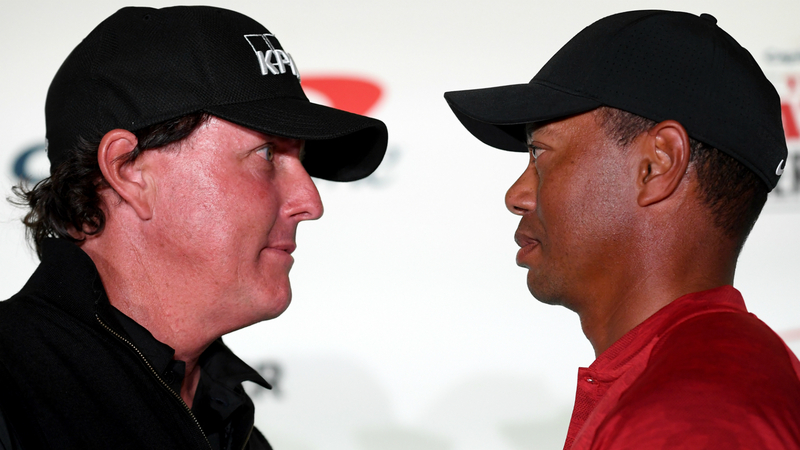 It’s been impossible to ignore all the hype heading into Friday’s “The Match: Tiger vs. Phil,” set for 3 p.m. ET on pay-per-view. But many golf fans and even Tiger Woods’ and Phil Mickelson’s fellow pro golfers are not buying it — not the hype, not the concept, and not the PPV match itself. PGA star Rory McIlroy told USA Today Tuesday he didn’t plan to watch the event. This is uncharted territory for golf, embracing the PPV model. Some have criticized the boxing/MMA-style marketing surrounding the event. Others lament the fact that, while both Woods and Mickelson are still talented players, and still quite popular, they’re 42 and 48, respectively, and past their prime. Yet other critics are concerned that the match could set a precedent for future golf events. The Chicago Tribune’s Phil Rosenthal wrote, “Tiger vs. Phil” is testing the waters. If it’s a hit, you can be sure there will be other pay-per-view challenges. Basketball one-on-one. Challenge races. Skills competitions. Brennan said she’s not going to watch the event, and she doesn’t know anyone who plans to watch.